All signups in the past 10 days (free and paid). All forum threads / replies in the past 10 days. All blog posts, updates, comments from our blog added in past 10 days. We are hosting our main site and forums on AWS Amazon and an “stop / start instance” action was performed and that resulted in loss of 10 days of data. The reasons why the system admin had to resort to this action is already part of the internal issue audit and how 10 days of data was not in sync with the dev server. In any eventuality we should not have lost more than a day of data. 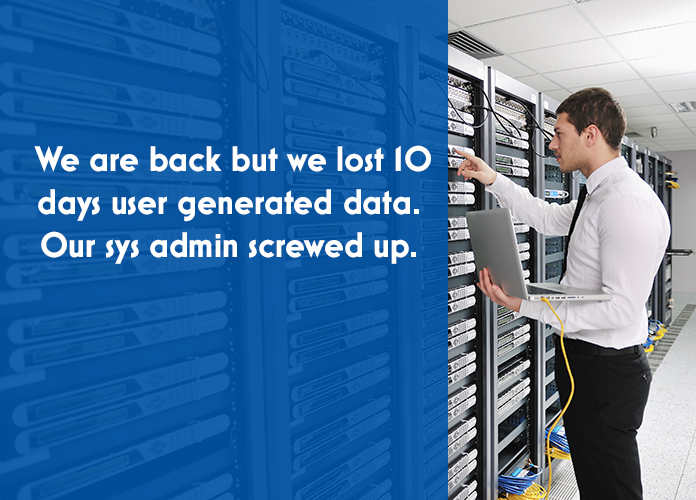 We have always experimented with servers and hosting options over the years to keep up with the technological advances and to provide best of the service to our members, but never had issues such as this. We do have strict instructions for system admin to adhere to laid protocols for server handling, which includes DB backup /down sync before handling live servers. Blog, updates, etc are being moved from dev backup to live site as we speak. User signup info / emails are being collected from the payment gateway and mandrill for informing the affected users and to offer help to get them back with full privileges. Putting up information and sending emails to all to notify of this serious issue. [Raise a ticket] with details of payment made and we will help you out. OR Write directly to me at arvind@joomlart.com. Q: I paid and lost my account? Wait for our email. Keep checking this space here for more info, we are working on few options we can offer for automated account restoration. Its gone and you can recreate it and it would be followed up by the support team. We are sorry about it. Q: Is this an external leak of your data? Absolutely no. You can rest assured that this is only the internal removal of data, not hack or external leak of information. All your personal and payment data remain completely secured. 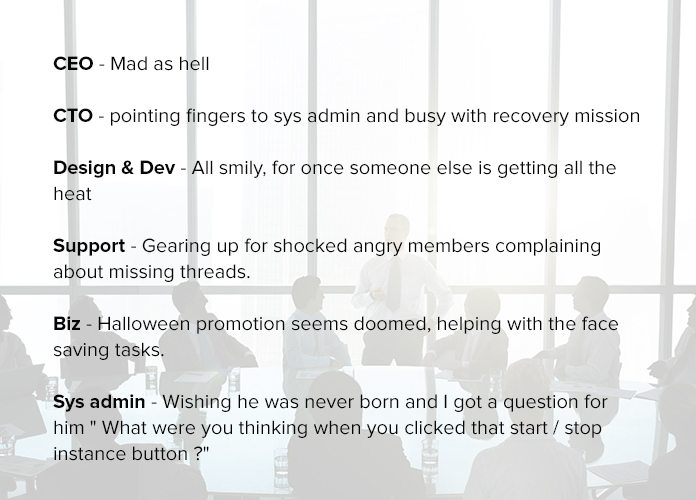 This surely has turned out to be a scary Halloween for us and our members and this was not on the plan and we at JoomlArt apologize for the inconvenience this festive season. Current situation at JoomlArt office!